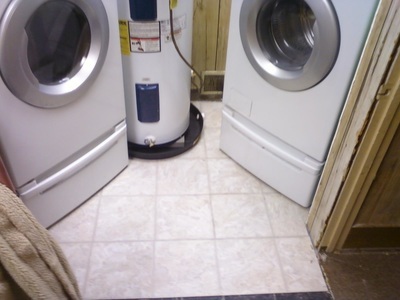 A leak in the washer caused us to have to replace the carpet in the laundry room. 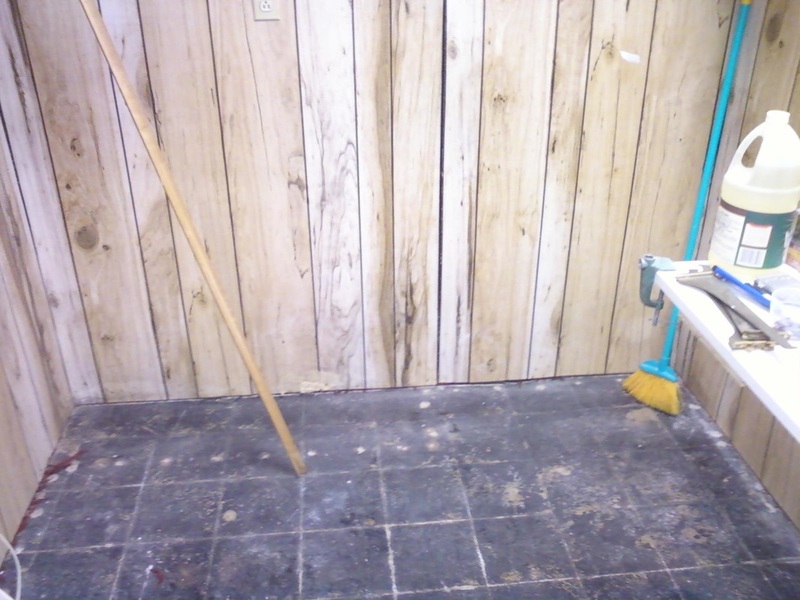 It was old and stained and ready for replacement. 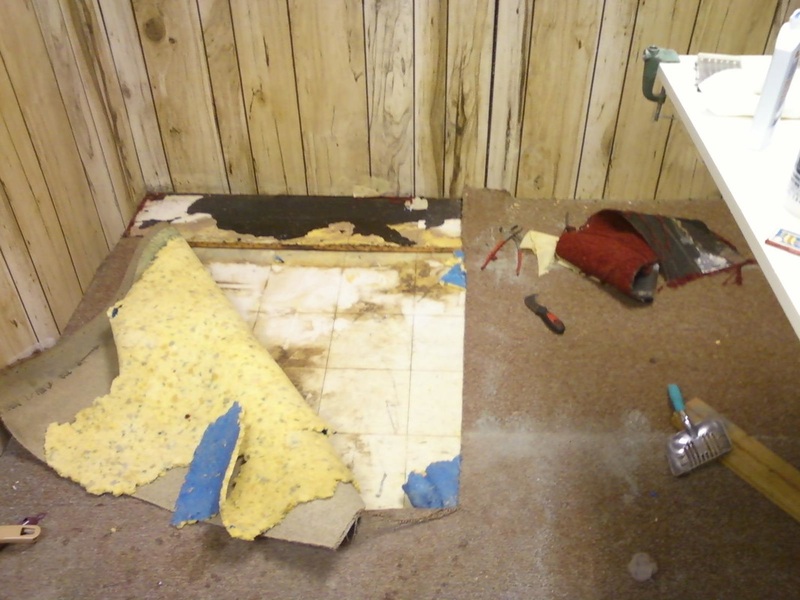 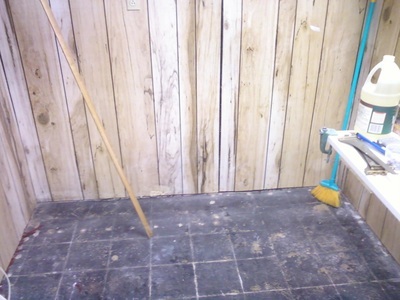 Once the carpet was removed, we had a layer of tile to remove. This left a layer of glue, under which was - more tile! 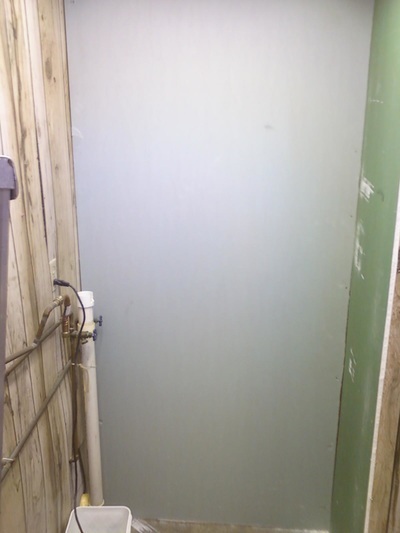 The faucets were pulled for replacement and while work was being done, the flimsy paneling behind the washer was replaced with moisture resistant drywall. 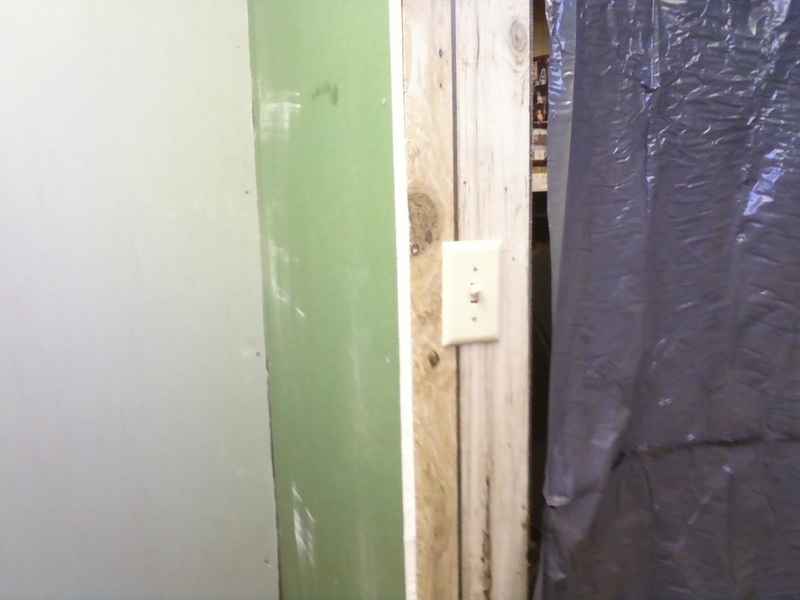 Another project will, someday, replace all the panelling. 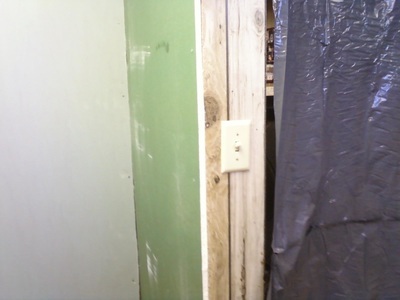 Improvements are always warranted, and the light switch was moved for more easy access when entering the room. The carpet was replaced with vinyl laminate planks. 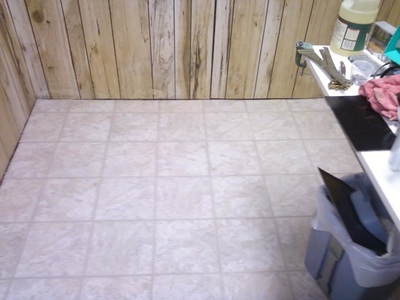 Here is the room completed. 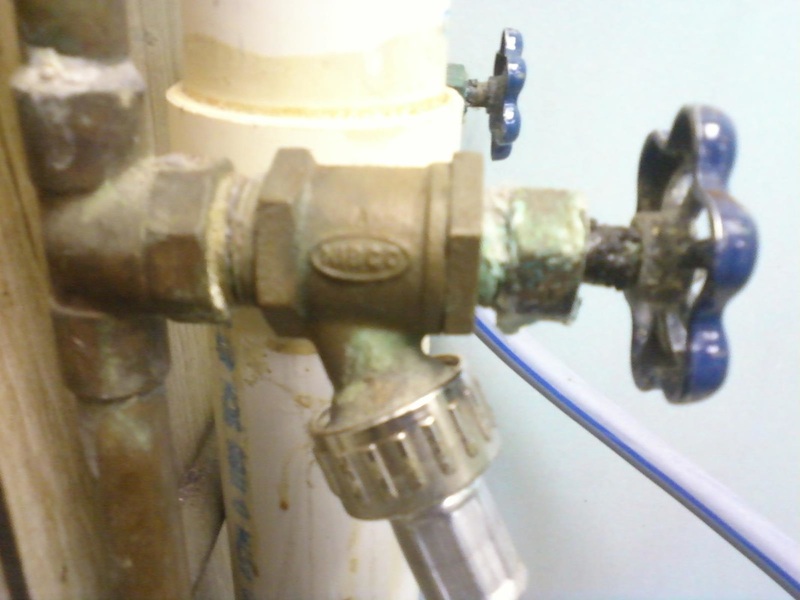 Also replaced are the old corroded faucets. 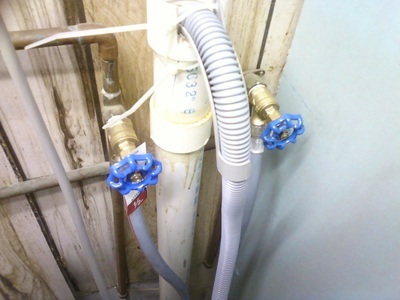 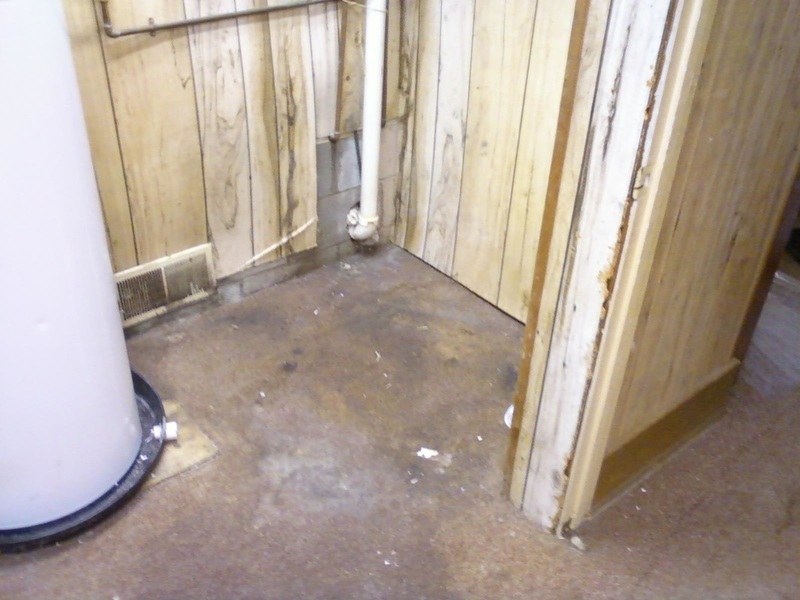 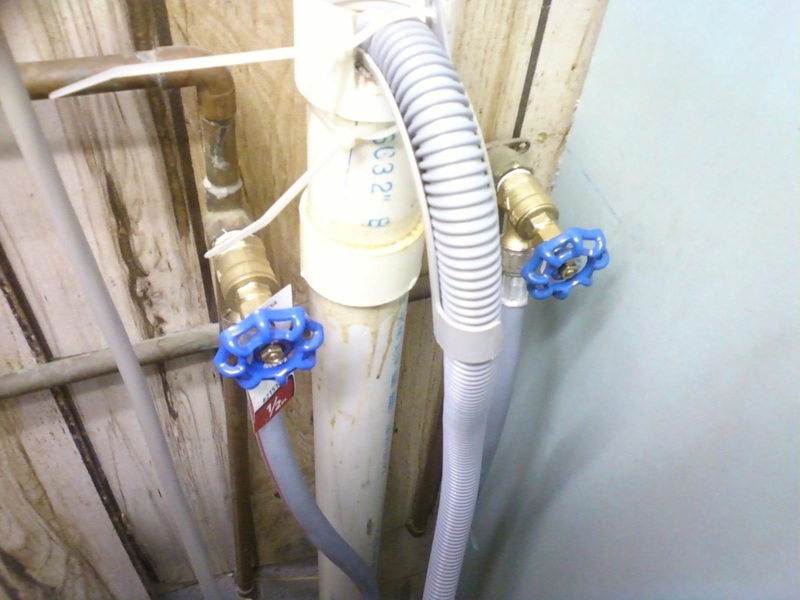 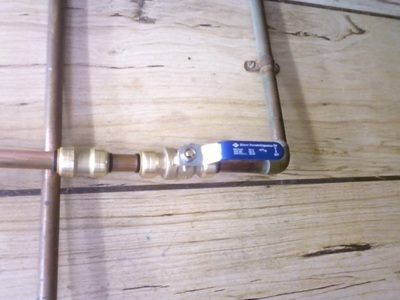 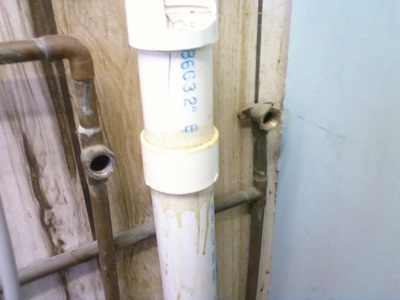 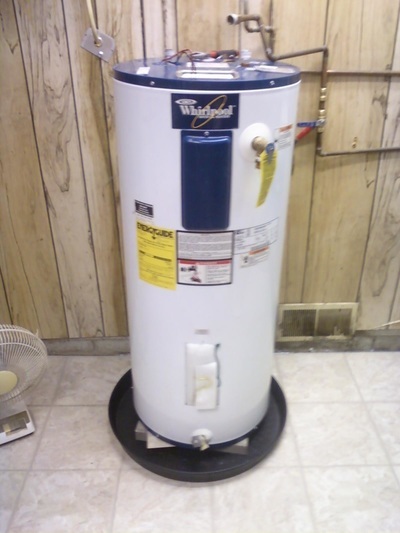 Also ;added was an emergency cut off valve to the water heater making maintenance and repair much easier.